Lord Ashcroft published a poll of Unite members yesterday which made uncomfortable reading for Unite’s leadership – “just under half (49%) of Unite members said they would vote Labour in an election tomorrow; 23% would vote Tory,” revealed Lord Ashcroft for example. It also gave some encouragement to Ed Miliband’s plan to restructure the party-union link — 57% of the 712 people polled by Lord Ashcroft “said the rules should be changed so members would be asked if they wanted some of their membership fee to go towards the fund, rather than having to opt out“. Mind you, this compares with 87.4% of the 241,249 Unite members who voted in the real poll required by law who voted to retain the opt-out fund as it is now. Answers do depend on how you ask the question! 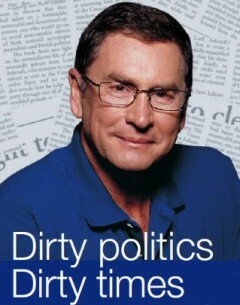 Forty-two percent of Lord Ashcroft’s sample are classified in social groups AB (higher or intermediate managerial, administrative or professional grades) whilst only ten percent as DE (Semi and unskilled manual workers, and casual or lowest grade workers, pensioners, and others who depend on the welfare state for their income). This is grossly unrepresentative of Unite’s membership and indicate a colossal failure to correctly weight the data (indeed there is no indication in the tables of any weighting at all). Semi and unskilled workers accounted for a considerable proportion of the former TGWU membership and a smaller but still very significant proportion of Unite. Pensioners also numbered over a quarter of a million in 2012 (about 18% of the total membership) when they were given both increased rights and benefits in the union (all can vote in the election of the general secretary) and there are also increasing numbers of community members. Managerial grades and professional staff are of course well represented in the union and accounted for most of the membership of some of the predecessor unions that now form part of Unite, notably ASTMS and TASS, but nothing like 42% of the total membership. Their gross over-representation also accounts for the fact that 38% of respondents were educated to degree level or equivalent professional/managerial qualification, and a further 18% to higher degree, doctorate, or MBA or equivalent professional/managerial qualification. We certainly should not set any story by the responses. Mark Ferguson at LabourList says the survey “has a terrible whiff of political hit job about it. Especially when Unite are the current Tory attack line du jour.” I agree. Though Lord Ashcroft’s surveys are often interesting and are of a size which enables detailed analysis that simply isn’t possible with most other polling, he doesn’t spend his money without a political justification. The bias, however, is probably unintended as Ferguson reports that over 15,000 interviews were conducted online to reach the 712 ultimate respondents. Shame his pollsters weren’t more careful about the weighting. Posted in: Conservatives, Labour, Media, Politics, Trade Unions.